The Identiti 666S is our newest and most versatile Cr-Mo Dirt/Jump frame. Lightweight double butted tubing and sleek styling give this great all-rounder clean looks and responsive handling. Using Identiti's Adjustable Dropout System, this Cr-Mo Dirt bike can be run with derailleur gears, hub gears or Single Speed, with QR skewers or nutted axles, 24" or 26" wheels - in any combination with disc brakes. 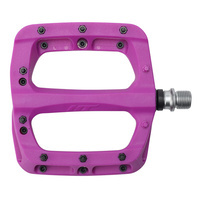 The Euro type threaded BB saves weight and allows direct compatibility with most MTB crank systems. 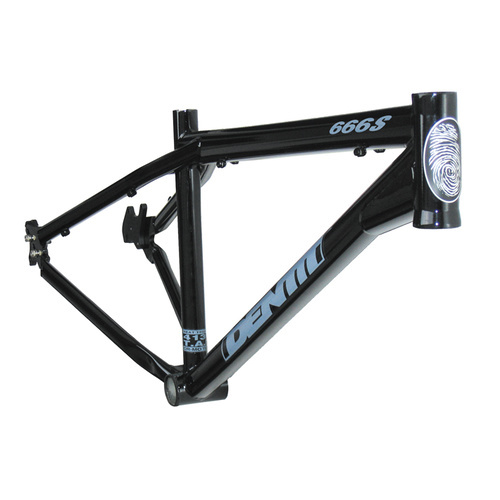 A BMX style 'no-flare' reinforced 1 1/8" CNC headtube keeps the front end secure. 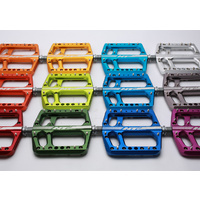 Replaceable, light weight, CNC alloy ADS dropouts are supplied as standard. 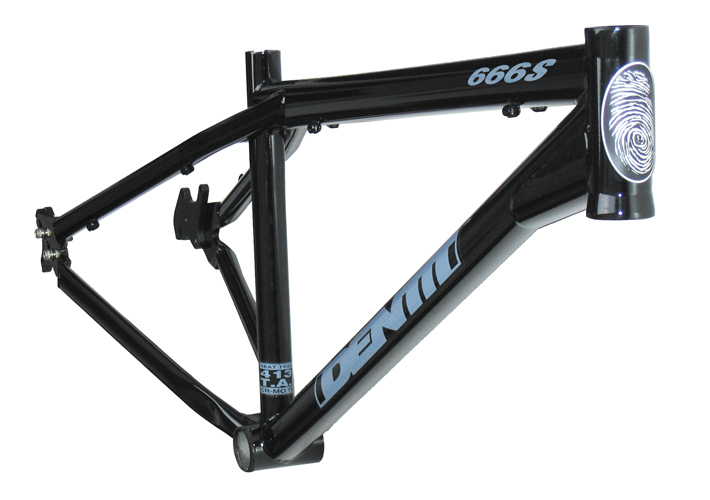 Furthermore, you can run S24 ADS dropouts, which are 24" specific super short dropouts - giving the 666S 15" chainstays, thus making this Universal 26"/24" frame handle every bit as well as a short tail 24" specific frame (if that's what you want) but without the limitation of being 24" only.